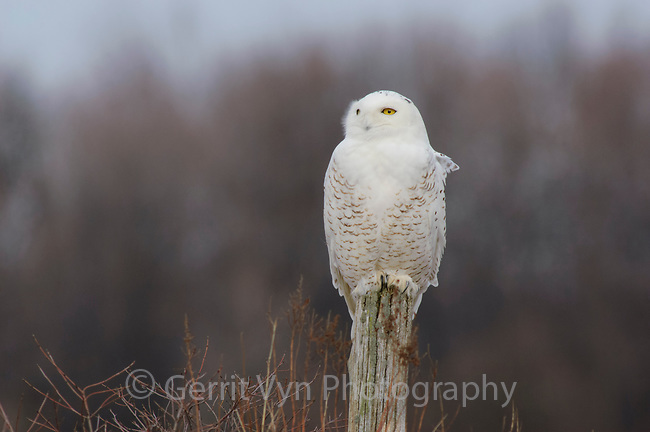 Immature male Snowy Owl (Bubo scandiacus) perched on a fence post. Wolfe Island, Ontario. February.